To learn something new, including a beautiful handwriting, you need a strong enough motivation that will inspire you to regular exercise. Also going to need the indomitable will power which will not allow you to evade achieve these plans. Remember what said the cat Begemot from "Master and Margarita", when asked how he so craftily eat the pickle fork? He said, "All exercise is achieved". This great simple formula should not just remember, but to write the most beautiful handwriting that you are capable of, and hang over a Desk, as a call to action. Then you'll need tons of paper and lots of pencils and pens. Just don't say that bad dancer the floor is stopping. It is for this reason that it's a bad floor. Choose the best paper and the best writing materials. Because it will be difficult, and it is necessary that high quality paper and "pen" brightened your suffering and gave you pleasure. Write as often as possible. Rip favorite books. Write letters loved. Turn on the radio and write what it says. Develop hand. Let the hand works not only with email but also with other subjects. Iterate over the beads, squeeze and do this with your expander, learn to eat Chinese with chopsticks and at the same time and write Chinese characters. After them a letter in their native language will seem nearer and dearer. Try to go on the other side. 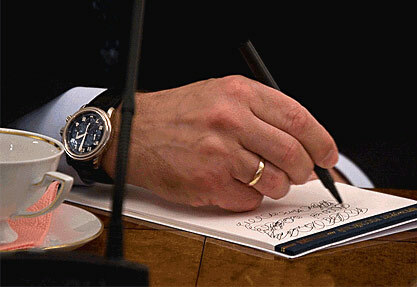 As we know from graphology (science of handwriting), handwriting is a reflection of character. And if your handwriting is poor, take the work on themselves, change the character for the better. You could even say, start to develop your character. This will be useful in the regular classroom with words to hooks and curls do not tied you to the curb. One of the important components you should be interesting. Love what you are doing. Listen, what's the thrill begins to cover you with a clean white sheet. Re-Read "The Overcoat" By Gogol. Take a look at Akaky's new, imagine that you're him, that you also love letters. Maybe they will love you back and stand in a row of beautiful handwriting, to which you aspire.